You play the role of a retired hitman, the mysterious Mr. 47 who has left the deadly world of assassinations and mob warfare behind only to be unwittingly drawn back into the dark underground as a cold-blooded killer. Your so-called retirement in Italy has found you back in the game of deadly espionage and intrigue when your close friend and confident, Father Vittorio has been kidnapped by a criminal organisation. Your job is simple, rescue the priest and uses any means necessary to achieve justice. The story continues from the highly popular first person shooter that appeared on the PC a few years ago that also made its way to the console world. After killing more than your fare share of men, the mysterious Mr. 47 found enlightenment and decided to go on a sojourn to Italy that eventually forced him into retirement. Unfortunately, Fate is never kind to those with too much karma and Mr. 47 is called into duty once again by working for the Agency. Hitman 2: Silent Assassin has been completely revamped from its predecessor and features an enhanced graphic engine, dozens of new weapons, more puzzle-solving and stealth missions, improved A.I. and best of all, a new option that lets you play the game in either first or third person modes. 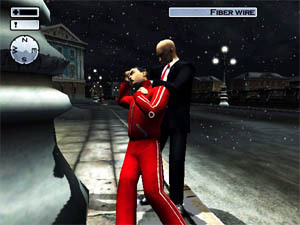 The first mission of Hitman 2 is basically an ingame tutorial that teaches you the basics of the game such as the control system and how to move your character in the gaming environment. The control system in Hitman 2 is quite complex and at times very frustrating because of the complexity of the game. The main problem with the control system is using the camera angles in the game that literally move too fast with the analog stick. The problem with first person shooters on consoles is that they sorely lack a mouse option that would make the control system flawless. Mr. 47 can literally perform dozens of actions in the game such as leaning to the right and left (which is great for when peeking around corners), spying into key holes, sneaking, crouching and running just to name a few. There are dozens of weapons you can find in the game that range from the popular sniper rifle, machine gun or your standard magnum hand guns. The combat system in Hitman 2 is great and has implemented a fairly realistic damage system that usually means a bullet in the right part of the body means instant death. Fortunately this does not apply to Mr. 47. The game also allows you to disguise yourself as a variety of different characters so you can gain easy access into the so-called vipers nest. There are basically two ways you can complete Hitman 2, either with guns blazing like so many other first person shooters or to take a more stealthy approach like Thief series. 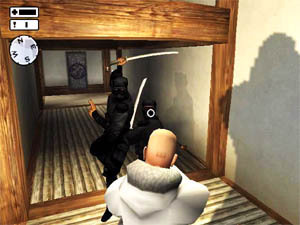 The graphics of Hitman 2: Silent Assassin is extremely polished on the PlayStation 2 and features some sharp detail in the gaming environments. There are literally dozens of gaming environments that range from Italy to Japan and actually look like you are in that country. There is also plenty of lighting effects in the game, whether its the sunset, nite or daytime, everything looks quite realistic. There is also a neat effect in the game that lets you shoot out lights on certain levels that not only makes combat harder for you but also for the enemy. The characters in Hitman 2 look a little chunky when compared to the backgrounds but feature some great texture details such as suits, uniforms and facial expressions. Hitman 2 also features some great CGI cinematics that occur between levels and at the start and end of the game. Musically, Hitman 2: Silent Assassin has a great movie-like soundtrack that helps portray a game of mystery, violence and intrigue in the world of underground criminal organisations. 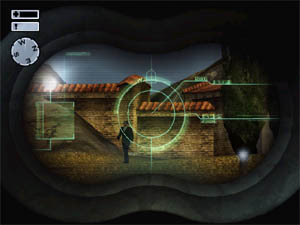 The game also features some great voice acting for all the characters in the game with some great sounding weapon effects such as gunshots, sniper rifles and machine guns. 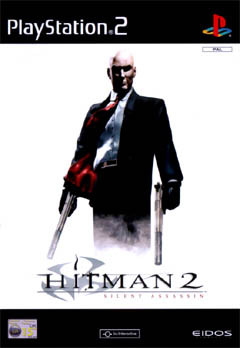 Hitman 2: Silent Assassin is a great first person shooter for the PlayStation 2 that is almost as good (graphically) as the XBox version. With an interesting and addictive storyline, Hitman 2 will keep you entertained for hours on end. The only complaint with the game is the fiddly control system that unfortunately takes some time getting use to but give it a few hours and you will be shooting like Mr. 47. Check it out!